Bishop Auckland Ladies are at Heritage Park with a 2pm kick-off in the Division One Sub Cup against Lumley Ladies Pinks whilst at the same time the Ladies Development Team travel to Pelton to face Lumley Ladies. Both sides suffered disappointing reverses last time out with the Ladies losing out 2-1 away to Chester-le-Street Amazons a few weeks back, and the Development Team went down 2-0 at Newton Aycliffe Ladies last weekend, the Ladies reverse coming after five straight wins. 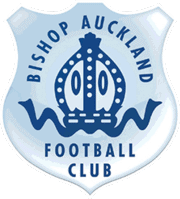 Talking about what’s happening in the ladies section, the Ladies secretary, Jackie Cleminson, said: “We have worked very hard this year at improving our link with Bishop Auckland Girls FC who are our junior partner club to provide a pathway through to adult Ladies football. “The coaching staff and some of the players have attended the girls training sessions where the girls have asked questions on what it’s like to play for BAFC. “We are looking to do more in the coming months to integrate the clubs on both sides with several of the current under 18’s team playing in the Ladies Development Team this season. “There are a lot of passionate young players within Bishop Auckland Girls that are looking forward in the future to representing the Club and we believe in what we are doing and how important it is that there is a development ladder to the Ladies teams. “Dom Bylett, the Ladies Manager, has managed the Ladies team for two seasons now and the progress the ladies have made in this time has been tremendous both on and off the pitch. “They play for the club, and each other, and the rapport between the two teams is the best it has ever been. “We believe we can be one of the top ladies teams in the North East. As with all sporting endeavours, the Ladies Team could not function fully without ongoing support from local businesses, and of course their parent club. In addition Jackie added: “From a club perspective, we would like to thank BAFC for backing the concept of the Ladies teams, which has enabled us to be where we are today. “We would also like to thank our Team Sponsors, Spice Lounge, Bishop Auckland (Ladies Home Strip) and North East Credit Union (Development Team Home Strip) for their support this season, as well as anyone else who has supported the ladies in any way, shape or form since the beginning, it really means a lot.